I loooove this look by the wonderful Jane of Sea of Shoes. 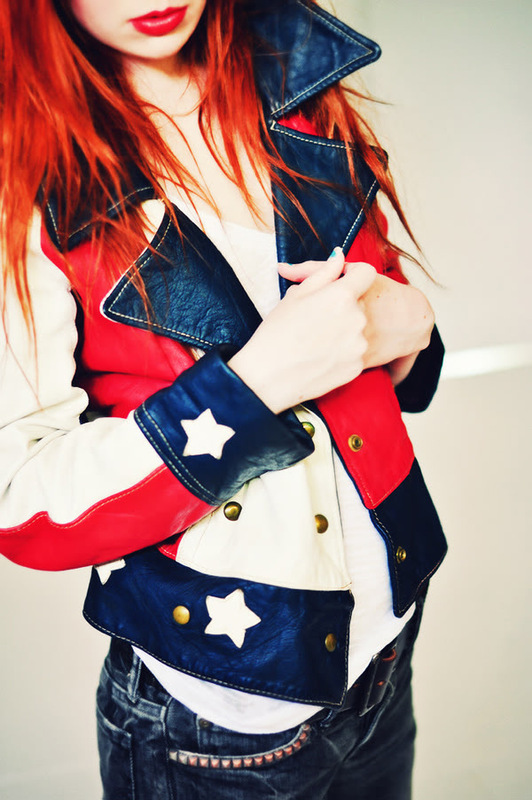 That jacket is to die for and looks great with Jane's bright red hair and killer boots. Envy!